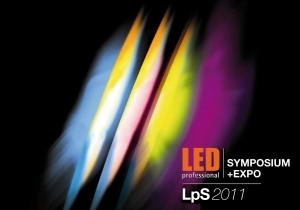 Not only will the developers, buyers, users, system service providers, distributors, etc, be meeting at the LED professional Symposium + Expo 2011 in Bregenz, Austria from September 27 -29, 2011, many of these experts from the fields of application and research will be attending the accompanying symposium. The conference will be covering topics like efficiency, reliability, costs, tests, standardisation and much more. The Symposium language is English. The range of lectures at the LpS 2011 conference covers practically the entire scope of topics in the field of Solid State Lighting like light emitting diodes in research and practice, optics and driver ICs as well as heat sinks and substrates, complete control modules and so on. Besides the commercial aspects, the corresponding design tools and configurators, testing and measuring tools as well as production-technical aspects will also be on the agenda. The first day will begin with a first class workshop led by Prof Dr Sergei Ikovenko on the topic of “Winning Approaches in LED Lighting – Disruptive Innovation Technology”. Part II will be held after lunch and led by Jamie Fox. This will cover the topic of “Latest LED Market Research”. It will be rounded off by Professor Ikovenko and Jamie Fox in Part III where “Innovation and Market Drivers” will be the subject. The official opening will be presided over by Siegfried Luger, publisher of LED professional and organizer of the Symposium, at 3 p.m. It will include three Keynote Speeches. The first speech will be made by Klaus Vamberszky from the Zumtobel Group in Austria with the title of “LED-Opportunities and Challenges for Luminaire Manufacturers”. The second Keynote Speaker is Dr. Gerhard Kuhn from Osram Opto Semiconductors. His topic will be “Challenges of LED Lighting Systems”. Professor DDr. Sergei Ikovenko from the Massachusetts Institute of Technology (MIT) will be talking about “Technology Evolution in LED Lighting”. The theme on the second day of the symposium is LED-technologies. Topics like “High Optical Power Warm White LED Technology for Illumination” by Dr. Decai Sun of Philips Lumileds, “Silicon-Based Wafer-Level Packaging for Cost Reduction of High Brightness LEDs” presented by Dr Thomas Uhrmann of the EV Group Europe & Asia Pacific and “High-efficiency LED Technologies Combining Semiconductors and Phosphors” presented by Thomas Zabel of e:lumix, Germany are on the agenda in the morning. After the coffee break and poster session you can listen to Mitch Sayers from Cree Europe talking about “Selection and Optimization of LED Component Platforms”, after which Professor Ku Chin Lin from the Kun Shan University in Taiwan will present “Optimization of Mixed White Light Color Rendering”, followed by Christian Sommer of Joanneum Research in Austria talking about “The Impact of Phosphor Properties on the Light Quality of White LEDs”. The afternoon is packed with speakers from Italy, Germany the UK, Austria and The Netherlands with topics like “Improved Optical Designs for Cost-Effective High Quality LED Lighting Systems”, presented by Luca Scodes of Khatod Optoelectronics, “The Impact of Fluctuations in Plastic Optical Elements in LED Lamps and Luminaires”, by Dr. Christian Véron of Zett Optics, “A Guide to Using Free-Form Optics for LED Lighting Systems” by Andrew Dennington of Polymer Optics Ltd, and “Tailored Optics for LED Luminaires – From Mass Production to Low Volume” presented by Sephan Malkmus of OEC before the break. After some refreshments and the poster session or a walk around the exhibition the symposium topics are “Off-Line Driver Technologies for Compact and Robust LED Controllers” presented by Francesco Ferrazza of STMicroelectronics, “Spectral Tuning for White LED-based Luminaires”, by Alfred Hesener of Fairchild Semiconductor, Germany after which Paul Fleming of Mean Well Europe talks about “Design Considerations for LED Power-Supplies” and in the closing session Stefan Hörth from Häusermann, Austria will lecture on “Advanced Copper/FR4 Circuit Board Technology for LED Lighting Systems”. Manufacturing, LED Systems, Standardization and more Session V on day three of the symposium is titled “Measurement, Testing and Manufacturing”. Peter Läpple of Instrument Systems in Germany will open the day with his lecture about “Metrology of White Light LEDs” followed by “Calibration and Quality Control of Multi-Color LED Lighting Systems” presented by Jürgen Weißhaar from Opsira, Germany. András Poppe from Mentor Graphics & the Budapest University of Technology and Economics in Hungary will talk about “Measuring AC Thermal Impedance of LEDs and Assessment of LM80 Test Results”. Marcel Freiermuth of essemtec, Switzerland will round off the sessions before the break with “3D LED Component Assembly Enables New Product Designs”. Session VI will feature talks on LED Lighting Systems. You won’t want to miss Tridonic Austria’s, Stéphane Vasse’s lecture entitled “Overview and Evolution of LED Lighting Systems” or Uri Neta of Uri Neta, Israel’s talk on “High-Intensity Optical LED Multiplexer”, and also the talk given just before lunch by Jörg Baumgart of the IBH/IBK Technical College in Ravensburg, Germany about “State-of-the-Art Equipment for LED Research”. After the lunch break the last session entitled Standardization & Reliability featuring Martina Paul of CIE talking about “CIE and the Strategy to SSL-Standardization – Bringing Stakeholders Together” will begin. This will be followed by Dr. Matei Stelian of Electromagnetica SA in Romania. His topic is “Challenge of Standards and Norms for White LED Systems”. The session comes to an interesting end with Reinhard Pusch from RoodMicrotec in Germany lecturing on “Selection of LEDs for Different applications Ensuring Quality and Reliability”.